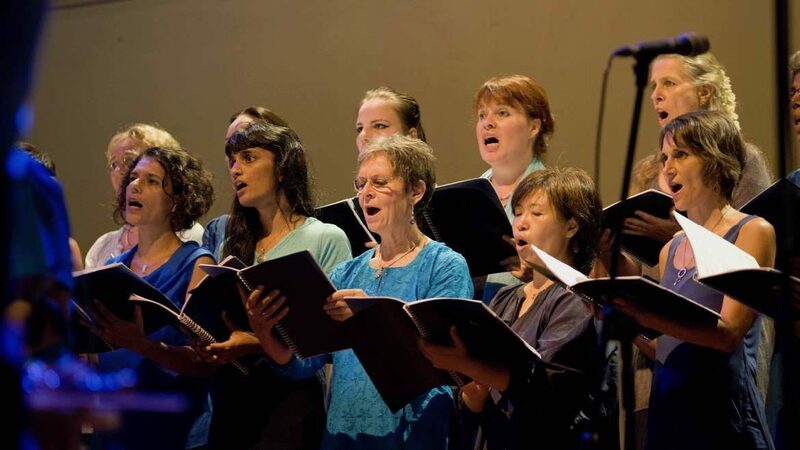 Choirs are among the community organizations classical stations could be partnering with on fundraising and promotion. That model relies on the premise that people who believe in a cause will use personal relationships to elicit pledges for their cause as part of their participation in the event; the donors may or may not be aligned with the cause. Likely, they are giving to honor their friend’s involvement or perhaps in memory of a loved one. Public media lacks a successful technique that allows individuals to raise funds for stations using personal relationships. Experiments using Facebook, Twitter and other social media tools have not yet borne fruit. One crowd-based technique, challenges, has been used for many years to varying degrees of success. When challenges are met, donors who participate can feel a sense of accomplishment. When challenges fail, donors can feel cheated of a victory and frustrated that others had not joined them in taking action. It’s critical to develop a deeper and more collaborative relationship with the “tribes” or social communities that comprise our audience. Your station is at the center of that community of communities. Community of Communities is designed to reach and engage audiences who want to go beyond the traditional fundraising relationship — the station provides programming, the listener gives money — and leverage their collective resources to both support our work and promote their activities, thus creating a symbiotic commitment to bettering the community. Community of Communities can help stations identify potential donors involved in arts organizations who value the service. By participating, those donors bolster their own organization and the station simultaneously. This program can help small organizations build capacity by offering prominent coverage of performances and events. As the partner organizations grow, their capacity to sponsor the station in a more significant way increases. An intentional, goal-based approach to strengthening partnerships that results in a stronger culture of support for the arts will make the station irreplaceable as one of the legs in the three-legged stool that includes artists and the public. The Audience: Community of Communities focuses on individual members giving less than $1,000 a year. Let’s use a local choir as an example of a partner organization. All of the choir members have a stake in the success of their organization. A subgroup of those choir members currently give to the station, partly because they like the music, partly because the station mentions them in its cultural calendar. Because stations and arts organizations already have a loose symbiotic relationship, we want to inspire active commitment by all choir members to support both the choir and the station. By investing their money and time into the station through “pooling,” they get rewarded by keeping the station on the air, and their organization receives additional benefits, which I’ll discuss later. The Model: Community of Communities creates opportunities for social communities (“the choir”) to contribute as a group to your station to use as leverage in campaigns. When the call goes out to all choir members to pitch in whatever they can afford, the choir can provide a lump-sum amount to the station on behalf of the choir community. The station promises to use the gift as leverage to raise the same amount through a dollar-for-dollar match; the station will also use the match opportunity to promote the activities of the organization that provided the gift. This version of peer-to-peer fundraising guarantees that the donors are aligned with two causes: the classical station and their own arts organization. It’s enlightened self-interest at its best. As your station works with smaller arts organizations to build community and sell out their performances, those organizations can increase capacity, hire staff and eventually form a marketing budget that can add to your station’s underwriting program. How It Works: Stations create online donation forms that allow individuals to choose a group with which they are affiliated or to create a new group. They complete their donation, and the donation is added to a pool that will be used for matching funds in an upcoming drive. Peer-to-peer software will encourage giving by enabling communication with targeted donors about amounts raised, deadlines and the like. Arts groups will be given physical and digital promotional tools that they can use to direct members to give prior to the drives. These tools will include the organization’s marketing plan outlining what the group will receive in the form of air time and promotion. In lieu of that, the groups have the option of providing an email list through which the station will communicate on behalf of the community organization. The arts group may choose to participate several times a year or pool resources and divide promotional time over a series of pledge campaigns. Some arts organizations may already budget marketing dollars for underwriting packages with the station. The goal should be to maintain that relationship and not put that revenue stream at risk. Community of Communities is a way to increase the capacity of smaller organizations that partner with the station through increased awareness of the station as a community convener. Dollar-for-dollar matches during on-air pledge pegged to a set amount donated by group — $500 = one-hour matching period; $1,000 = two-hour matching period, etc. Opportunity for a representative of the “choir” to record a 45-second spot to promote the match and plug their event/effort/etc. Arts groups receive station-branded peer-to-peer web pages or personalized URLs to raise funds. A mobile component is essential. Allow teams to set fundraising goals that have benefits at varying levels (a similar approach to a Kickstarter campaign). Work with local corporate underwriting staff to track the growth of smaller arts organizations and help create packages that will help take the groups to the next level. Consider holding an event at your station where each group presents itself in a booth and convenes with the community and its arts partners. Benefits to Station: Stations can form new alliances with community groups through a competitive giving process and learn more about individual tastes of members through gathering data and getting to know the members better. Some individuals may give to support more than one group, so careful coding in a CRM system is essential. This coding will also help the station communicate in a more donor-centric manner. As pledge drives become less effective as a fundraising and prospecting mechanism, Community of Communities could help restore the grass-roots feeling to a pledge campaign as community members advocate for a number of organizations. Summary: Community of Communities is a concept designed to ignite the growth and development of the three legs of the arts & cultural stool: audience, artists/arts groups, and the station. As a megaphone for the arts, public media stations have a role to play in the promotion and development of organizations making an impact in the community. In doing so, we have the opportunity to grow and fortify relationships with donors who view the station as one of the local pillars of culture. If this interests you, learn more with these ideas and tools for implementation of Community of Communities. Barry Nelson is a public media fundraising strategist and pledge producer who has worked in public media since 1998.